Indian food is very complex and interesting which is why I (and I’m guessing maybe you) like to eat it so much. However, that means when you step in the kitchen to prepare it you need a bevy of spices. I know it can be frustrating to embark on cooking a new cuisine only to encounter a new ingredient at every turn that you have to procure. And this can be especially intimidating if you have never shopped at an Indian market before. So for those of you planning your first trip to the the Indian market (or planning to shop online) this is the perfect post for you. green cardamom – these green pods encase fragrant cardamom seeds. You have to crush the pods in a mortar and pestle to release the seeds but this extra effort does give you a spice with a lot more flavor than the stuff that is already in powder form. 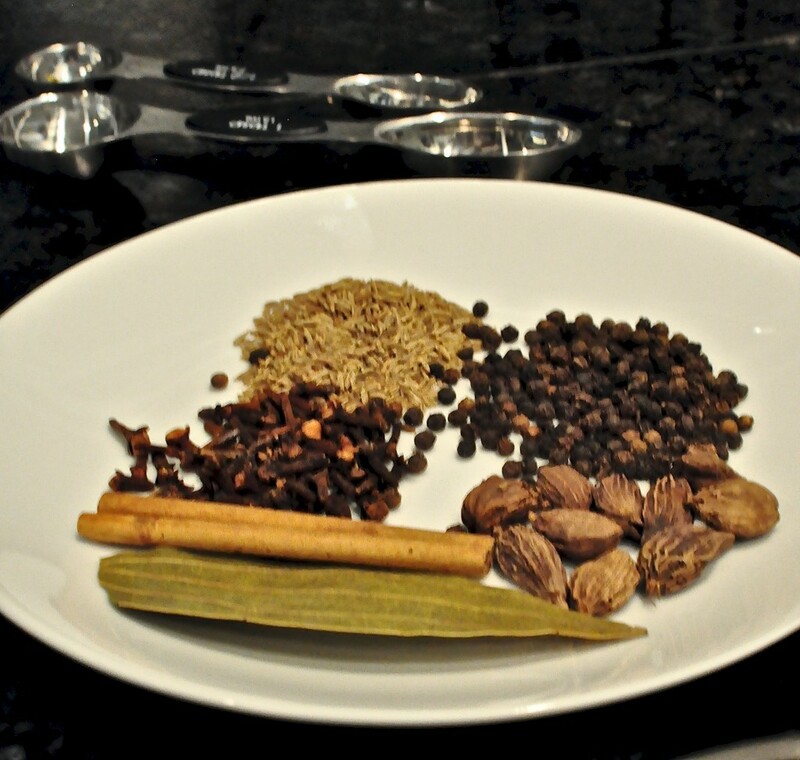 This spice shows up in all sorts of dishes, garam masala, and, of course, masala chai. turmeric – these vibrant yellow powder is currently being touted as a health food. It has been used in Indian cooking for centuries and gives many dishes that yellow cast. Even a well stock grocery store (like Whole Foods) will carry it. chaat masala – a fabulous spice blend of yummy sour spices like black salt and dried mango powder, this is something I always have on hand. It is used in everything from savory tapioca to cilantro-mint chutney. My husband also likes it sprinkled on toast – don’t knock it till you try it. aamchur – dried mango powder. Lovely and tangy, it adds a special flavor to the fritters in my buttermilk stew. mustard seeds – I prefer the dark brown ones. Also essential for buttermilk stew. tandoori masala – This is a must have if you love tandoori chicken or ribs. I also use it for the marinade for chicken tikka masala. I prefer the brand Rajah. channa masala – This definitely takes tea soaked chickpeas to another level. black salt – Also known as rock salt. This has an almost sulfurous quality about it. I grew eating watermelon sprinkled with black salt – the perfect balance of salty and sweet. crushed anardana – These are dried pomegranate seeds that have been crushed. They lend a lovely gentle sourness to dishes and I always add them to mint-cilantro chutney. I hope this post helps informs your next spice shopping trip. And to all the moms out there – Happy Mother’s Day! I’m hoping to get a couple of hours off to watch the new Netflix show, Chef’s Table. The only problem is that all the food looks so fabulous, I know I will get hungry. Maybe I can get the kids and Arjun to make snacks…..